With the New Year underway, it seems that most people have a fresh attitude about everything in general. Included in that is the economy as well as the real estate market. All of South Florida is recovering and even rebounding including Doral. Even though Doral real estate did not take the beating that the rest of the state took, it did hit some stumbling blocks. Doral has a ton of attributes that draws people to the area whether as a permanent resident, one that lives here part of the year or an investor seeking opportunities for rental properties. 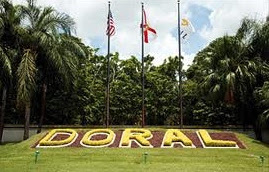 To highlight some, here are a few of the main reasons Doral continues to grow in popularity. Doral’s location is ideal. Located just west of Miami, it is very close to all of the major thoroughfares in and out of South Florida. On top of that, Miami International Airport is at its back door which makes the city perfect for those who spend a lot of time here on business or who work for any of the major companies headquartered here like Carnival Cruise Lines. First and foremost, in terms of golf, Doral is the home of the WGC Cadillac Championship that brings the likes of Phil Mickelson, Tiger Woods, Bubba Watson and other top players to the area each spring. After undergoing a major overhaul, the Blue Monster Course (site of the aforementioned WGC tournament) at the Doral Golf Resort and Spa is unlike any other in the area. 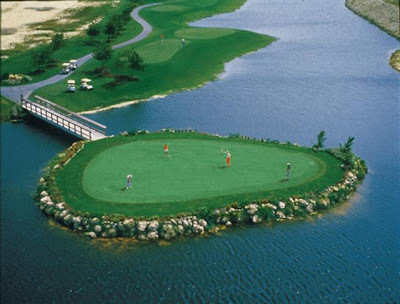 There are also other fantastic courses throughout Doral and within a 30-minute drive making it the perfect place for die-hard golfers to settle. One, if not the best, reason that so many end up in Doral is because of its affordability. Doral real estate is very enticing because of the size of home for the price. Because the city is so close to Miami, many buyers elect to live in Doral to get more bang for their buck. In fact, within the first two weeks of January, over 30 homes have already sold. Developers are knee-deep in Doral projects with several under construction and more in the pipeline. Some of the newest communities include Vintage Doral, Downtown Doral and Midtown at Doral. The architectural style of the homes in our communities varies from Mediterranean to contemporary designs which make for more appealing options for buyers. 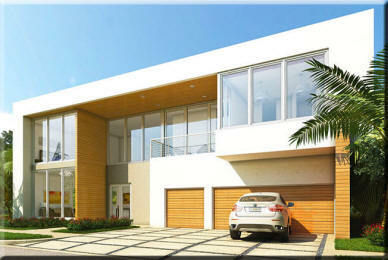 Developers see the benefits of investing in Doral which is noticeable by the new neighborhoods under construction. For investors, first time buyers, retirees and others, Doral real estate is an excellent investment worth strong consideration.